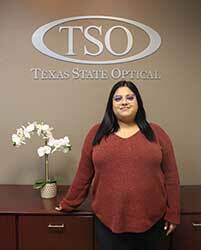 Ashley joins us as an experienced optician. With over 2 years in the field, she can expertly assist patients in frame styling to select the proper lenses. She is native to San Antonio and in her spare time enjoys spending time with her dogs.